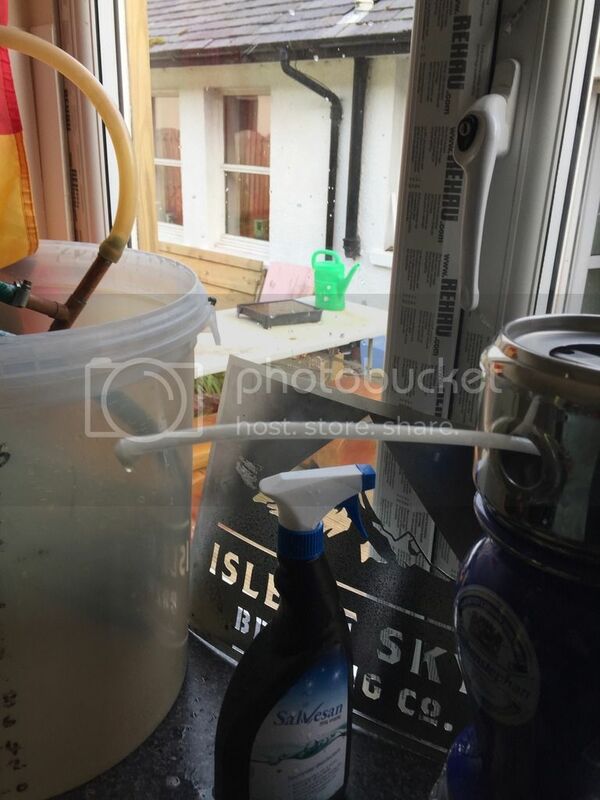 The Brewing Forum • View topic - Dalex tap help needed! Hi Guys how's it going? I've had a Weihenstephan tap font for a while and tried to use it but for some reason I can't get any beer out of it. 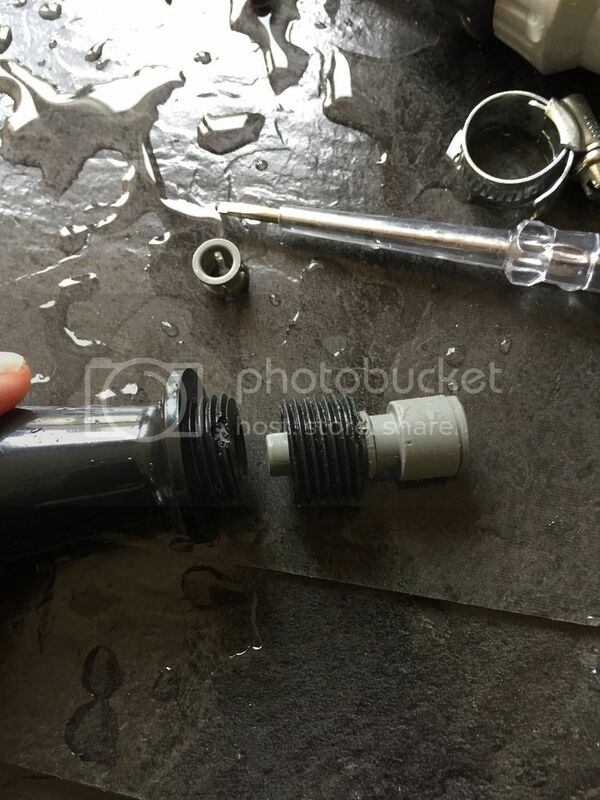 I've took it all apart and can get beer coming out the end of the thin beer line, but as soon as it goes into the grey JG fitting attached to the tap nothing seems to happen. I tried to get the JG fitting out the tap and it's cracked in half, baws tae that. I've attached a few photos, can anyone advise what sort of tap I need now! cheers! So the beer line connects to the JG fitting on the right and from there nothing comes out. As you can see the thread has snapped after I tried to remove it! Where does Daddy go from here? 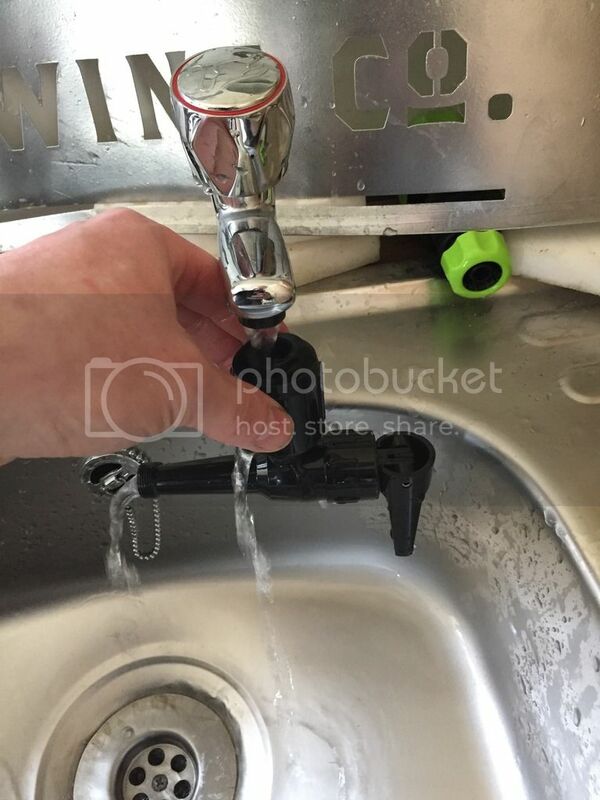 As you can see in the top pic the tap fits into the hole in the font. 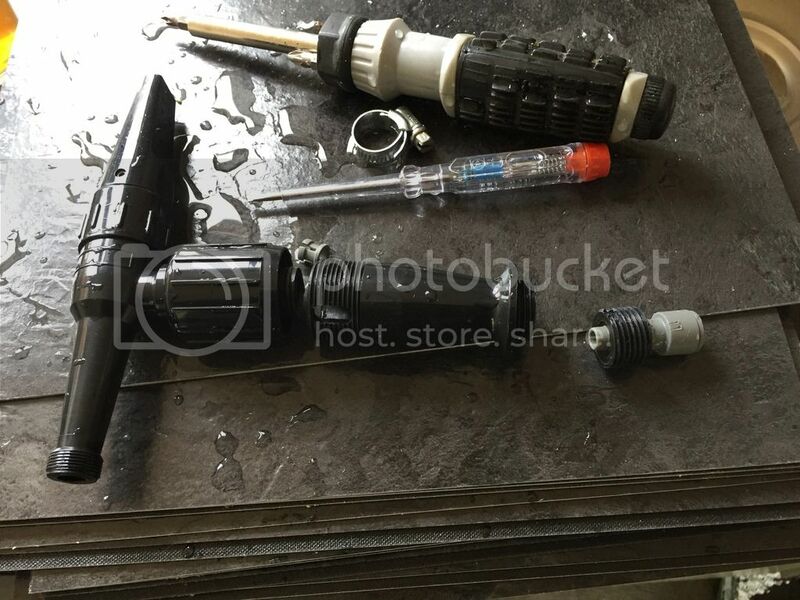 Re: Dalex tap help needed! at circa 8psi+ (on my regs) they become impossible to find the sweet spot, and rather than set once and pour out the keg its a case of fiddle n twist never quite hitting it with every pour. got my tap through today and it's working a treat! cheers for your help guys!